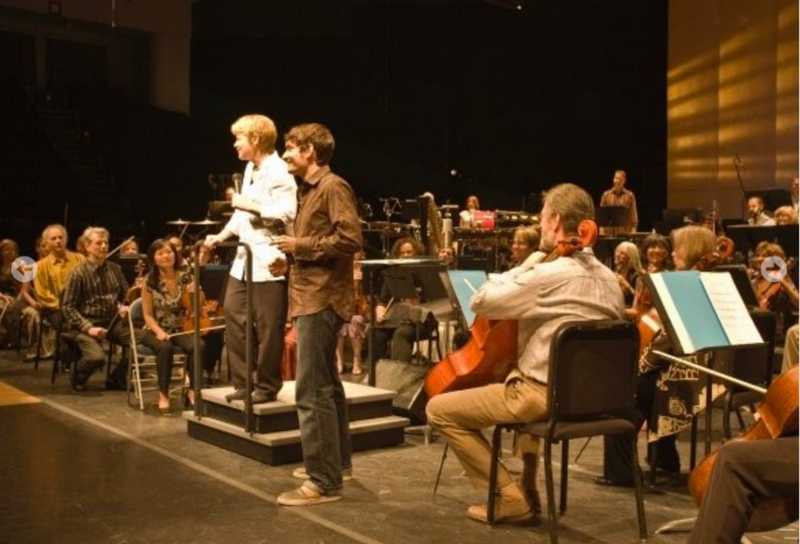 Eric Lindsay is a composer of vibrant, electro-acoustic music for film, concert, and the stage. He holds composition degrees from the Jacobs School of Music and USC, in addition to courses at King's College in London. His music has been generously funded by the Koussevitzky Foundation, ASCAP, SCI, National Federation of Music Clubs, and others. His music has been performed by eighth blackbird, the American Composers Orchestra, the New Juilliard Ensemble, the New York New Music Ensemble, Pittsburgh Symphony Orchestra, the Del Sol String Quartet, Thompson Street Opera Company, New Voices Opera, and many more. He lectures at the Jacobs School of Music at Indiana University and the Claire Trevor School of the Arts at the University of California, Irvine, where he teaches courses in Composition, Music and Multimedia, Theory, Producing EDM, and Remixing. His scores are published through Peermusic Classical. 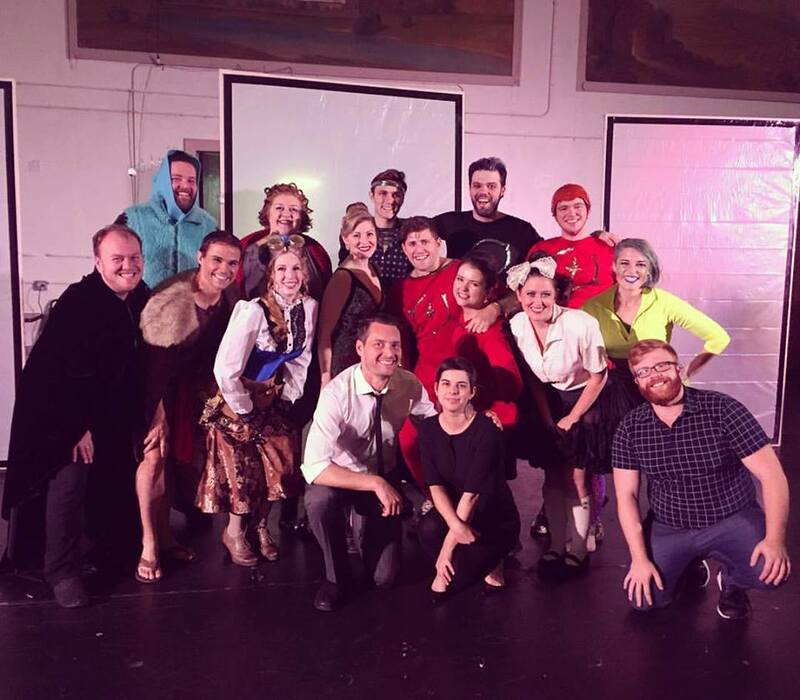 Chicago cast of the Thompson Street Opera Company performance of "Cosmic Ray and the Amazing Chris"
Marin Alsop conducts the world premiere of Darkness Made Visible at the Cabrillo Festival of Contemporary Music. eighth blackbird premieres "Town's Gonna Talk"
GRAMMY-winning eighth blackbird premieres "Town's Gonna Talk", along with works from Finale Composition Competition co-finalists, Andy Akiho and Kurt Rohde. 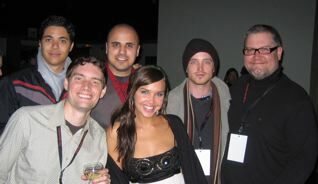 At the Vail Film Festival for Ramsey Denison’s “Somewhere in the City” premiere, with Arielle Kebbel and Aaron Paul. Discover the latest tracks by subscribing to Eric's Soundcloud feed. Eric Lindsay composes scores that lend heart and momentum to films across a wide range of genres. Discover the latest clips by subscribing to Eric's YouTube channel. Drama. Released December 1, 2006 from On the Road Productions. Shyam Balsé's award-winning short depicts a son's return to India to resolve unfinished business. The score traverses east-west musical languages and features sitar master, Paul Livingstone. Documentary, Family. Released October 22, 2010 from Clay Way Media. The animated shorts interspersed between Peter Byck's narrative in this witty documentary presented very enjoyable opportunities to create music in the style of old Warner Bros. cartoons. Documentary. Released February 10, 2008 from Broken Pencil Productions. Chad Heeter's compelling documentary feature compares the educational systems of China, India, and the USA. To create overarching musical ideas throughout the film, the score translates themes across rock, world, and electronic languages. Documentary, Adventure. Released June 11, 2017 from Train Jump Productions. Constantine Papanicolou's documentary feature, depicting the Herculean task of filming a ski film on Mount Olympus, alternates between cinematic cues and authentic greek music. For anyone hoping to license music for a project, commission a new score, or collaborate, leave a note in the form below.